Designed for heavy use, the Brother MFC-J6710D is a tough machine aimed at users that need to work with large tabloid-size media. It comes with a fax machine, copier, and scanner, but the MFC-J6710D is quite bulky, heavy, and setting it up can be time-consuming. This colour inkjet printer is built with a 2400x2400 dpi scanner, a 4-cartridge ink system configuration, and a flatbed copier. The Brother MFC-J6710D has a large flip-up 3.3-inch colour LCD display, which is useful for navigating the menus on-board and previewing files when loading them directly from a USB flash drive or memory card. The automatic document feeder can handle up to 35 sheets, and the scanner comes with a good OCR software. Two paper trays are available with the Brother MFC J6710D, so it is versatile in handling different kinds of media. 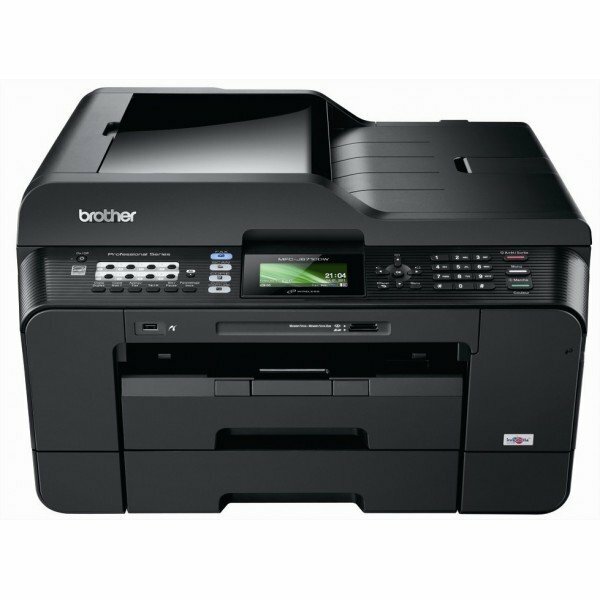 The Brother MFCJ6710D prints fast with good text output. Users can save more with the high-yield ink cartridges, the automatic document feeder, and the automatic duplexer. The scanner can accommodate thicker media (like magazines and books). The Brother MFC-J6710D comes with excellent customer support and a generous 3-year warranty. The manual paper feed looks out of place and smaller media can be difficult to place and position in the large format tray. Some features like the media card slots may be unnecessary for a small office, and the busy control panel may overwhelm first-time users. The Brother MFC-J6710D requires is a large, heavy, and bulky multifunction device measuring 21.3x19.3x13 inches (WxDxH) and weighing 18.2 kg. Users who need to print pictures and full-colour graphics need to manually adjust the settings. Networking options are limited.